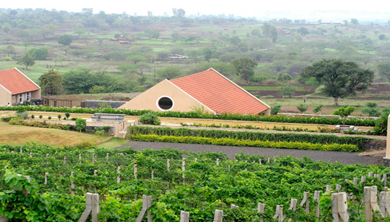 An ideal wine tour and villa stay at Village in Nashik. Spend 2 days and 1 night in the heart of the vineyard while sampling your favorite blends of wine. Be the connoisseur for the day while tasting different blends of wine. Know more about how grapes are processed and blended into the finest quality wine. Enjoy your stay in villas, indulge in swimming and sample delicious foods during your stay. 01 Night Accommodation on Full Board. 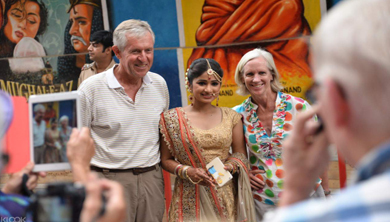 Immerse yourself in Indian culture and dine with a local family with this unique 5-hour experience. It will introduce you to the Indian lifestyle, the traditions of home life, and the importance of family in Indian culture. You will be welcomed into their home in a traditional way and enjoy a refreshing non-alcoholic drink while interacting with the family. First you will be introduced to the spice box, ready to yield its fragrant secrets. You will learn to cook authentic Indian meal in 3 hours. 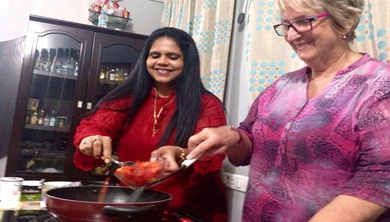 Participate in the cooking of your dinner with your teacher/host. You can select from two menu options: Option 1: Non-vegetarian menu Demonstration of lentil soup, Indian paneer (cottage cheese), chicken dish, fish moielee, rice and pea pulao serve along with parathas (Indian bread), and raita (curd). Option 2: Vegetarian menu Demonstration of coastal egg masala, Vegetable stew, Kadai paneer, Lentil soup, Pea and rice pulao served along with Parathas, raita and Kheer. If you have any particular dish you would like to learn, you can also request this in advance. Finish the experience by enjoying your home-cooked meal with your host. You will be picked up from Hotel lobby and taken to the Gateway of India. 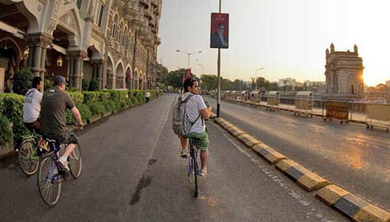 The Royal Taj Hotel stands opposite the Gateway of India. Then the walk proceeds towards the Regal Theatre. Regal Cinema extended its name to Regal Circle and at that time it was the only Art Deco cinema present. After that, the tourists are taken to view the Prince of Wales Museum from outside. This walk continues to the Elphinstone College. Slightly further north of the college, on Mahatma Gandhi road itself. Further down the road is the University of Bombay. The walk continues to the Flora Fountain. After viewing the fountain, the walk proceeds to the Victoria Terminus Railway Station, which is now known as the Chhatrapati Shivaji Terminus. Later you are on a short taxi ride for about 2 kms for 10 minutes, from the VT station to a small café, with a nostalgic aura, Café Samovar, which is located in the Jahangir Art Gallery. After the relaxing break of snacks at the Samovar Café (Pay directly), you are taken back to their respective Hotels. vendors shout from carts selling everything from colourful birds and flowers to traditional Indian clothes and food. 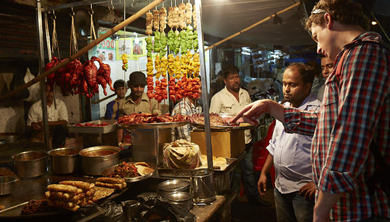 We'll guide you through the chaos and introduce you to Mumbai's must-see markets such as Crawford Market and Mangaldas Market as well as some lesser known ones such as Flower Alley. 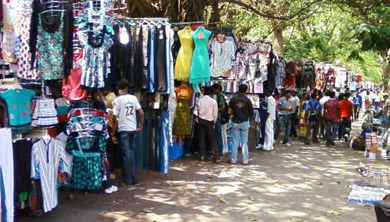 Along the way we’ll also visit some of the oldest lanes in Mumbai and their most famous temples. Meet your guide in the early morning outside Cusrow Baug in Colaba. Your 4-hour bicycle tour starts with a gentle ride through the back streets of the Fort area, a business district that lay at the heart of the city during the 18th century. Watch Mumbai wake up as you descend upon Chhatrapati Shivaji Terminus (CST). Continue on to Crawford Market, where you’ll get off your bike to have a look inside. 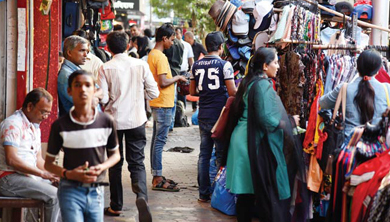 You’ll ride through the Kalbadevi and Bhuleshwar bazaars before stopping at Bombay Panjrapole, which shelters more than 350 cows and other stray animals right in the middle of the bustling city. Visit Mumba Devi Temple, where Hindu priests bestow their devotees with blessings, before riding through Mumbai’s flower alley for a colorful view of marigold garlands. After a quick stop for tea, cycle along the 1-mile (3-km) stretch of Marine Drive — a coastal promenade bordering the Arabian Sea. Your bike tour ends at the Kailash Parbat restaurant with a simple Indian breakfast in the company of your guide. Start your beach-side stroll at the southern end of Marine Drive, where it joins Madame Cama Road. As you walk north along the promenade, you’ll be passing some of the most sought after (and expensive) real estate in India. Beyond Veer Nariman Road (to your right), you’ll eventually pass the large Wankhede Stadium (D. Road, Church gate), a popular cricket venue. Continuing north, you’ll arrive at Mumbai’s famous Chowpatty Beach, a magnet for young couples and families. Pause here for a plate of delicious bhelpuri (fried savory snack), a much-loved Mumbai specialty. From drive pass by Malabar hill after reaching to hanging garden guide will show you good view of marine drive in night time which we call as queen necklace road as well. From here we proceed to the colorful part of Mumbai called Mohammad Ali Road, this street is shoppers delight and comes alive after Sun set in night time. Walk on the street to see the mad rush. But this is all worth for the lip smacking food that awaits you. Try the famous Bhuna Gosht, Egg Roll, Kabab and this followed by a taste of delicious Phirni which is the specialty of this place. Later drop back to hotel. (Bollywood) ranging from the silent era to talkies to current date. A special dance performance by Bollywood Dancers will be presented. A presenter will brief guest about Bollywood era gone by. Guests will also experience the feel of a recording studio. Understand the VFX working and get amazed. Then guest will be escorted back to the gates where they will be received by our Representative. From here we proceed to Juhu and Bandra, to take glimpse of the most famous Film Star Houses (from outside). We further drive to city to now watch a Bollywood movie being screened at the famous Regal / Eros Theatre. These theatres still have the Old Charm the comfort and have not given way to the Multiplexes. Later you will be transferred to the Hotel. who scavenge materials from all over the city bring them to the little workshops in order to clean, process and recycle them, from old aluminum cans to plastic chairs. But also foodstuffs like biscuits or pottery items are produced in Dharavi. The visit of a roof right in the center of the settlement allows you to get an impression of the vast dimensions of the place and the number of people who must be working and living there. On the tour you will be guided by the local Guide who will be fluent in English. With his extraordinary knowledge that you experience the sights and sounds of Dharavi as only a local would. 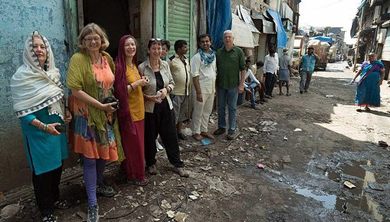 The Dharavi tour leaves from a central location in Mumbai and takes you through the heart of the slums, teaching you its history, bringing you in contact with its people and introducing you to its way of life & their standard of living. 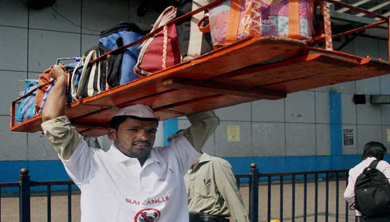 You will be picked up by the Guide from the Hotel and drive to the Church gate Railway Station where you will see the Dabbawalas disembarking the Dabbas (Tiffins) in the wooden cart from the Train. At Church gate station the Guest will see how the people stand in the Ticket Counter Q and take their tickets to reach their offices. Now the guests will escorted towards the platform to board the Local Train for Mahalaxmi Station. You travel in First Class Compartment and will be traveling from South to North Mumbai when there is no crowd. You arrive at Mahalaxmi Railway Station is served by the Mumbai Suburban Railways. Most of the Dabba walas get down at Mahalaxmi Station as all the Corporate offices are in this vicinity. Here the Dabbawalas sort out the Tiffin Boxes based on the markings on the Tiffins which is done area wise. A brief introduction here with the Dabba walas and their exact arrangements how the tiffin's are coded and distributed at the right place at the right time. The Tiffins are put on the Wooden Crate which carries 150 Tiffins and driven by 3- 4 Dabba walas in different directions for delivery on the bicycle. You will escorted out from the Mahalaxmi Station. The Car will transfer you back to the hotel. Proceed to the Gateway of India to take the catamaran for Elephanta. Boat leaves at 0900 hrs from the Gateway of India Pier. Enjoy a one-hour boat ride across Mumbai Harbor brings you to the lovely, green Elephanta Island. 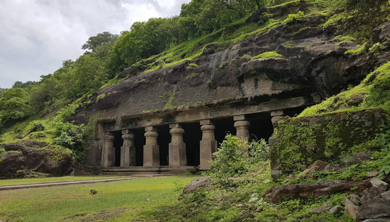 Here you visit some of the huge and intricately carved Cave Temples dating back to the 7th century and dedicated to the Sun God - Shiva. Large panels depict episodes in his life. The central sculpture represents Shiva's three aspects as creator, preserver and destroyer. Return back to the pier at 1330 hrs.